America's Reef Tank - REEF AQUARIA DESIGNREEF AQUARIA DESIGN | Every great room deserves a great aquarium. America’s Reef Tank by J.R. Corvison. Images by Lauren Ludi. 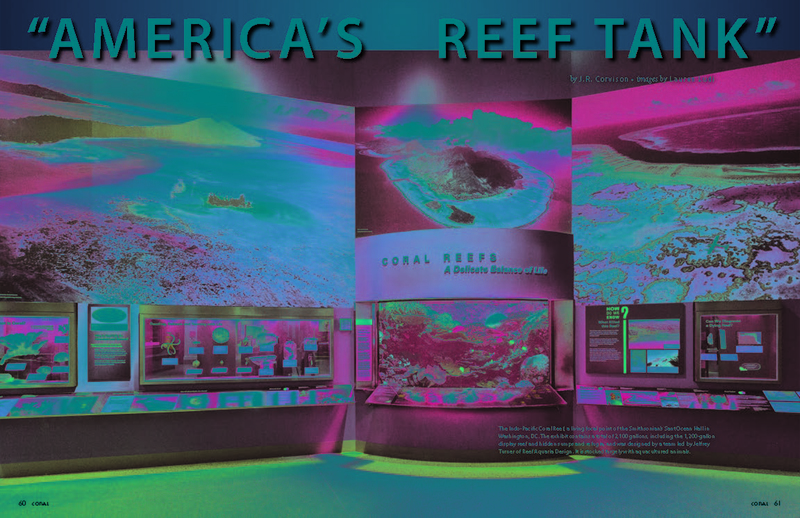 For the Sept/ Oct 2015 issue of CORAL Magazine, Reef Aquaria Design was features with this article “America’s Reef Tank” wrote by RAD Operations Manager J.R. Corvison. In this article J.R.talks about the Indo-Pacific Coral Reef, a living focal point of the Smithsonian’s Sant Ocean Hall in Washington, DC. The exhibit contains a total of 2,100 gallons, including the 1,200-gallon display reef and hidden sumps and refugia, and was designed by a team led by Jeffrey Turner President of Reef Aquaria Design. It is stocked largely with aquacultured animals. Read the full article HERE! More information about Smithsonian’s Sant Ocean Wall HERE!